Bear Creek Estates is a 16 lot single family subdivision located on approximately 43 acres in Robbinsville. There are 5 outstanding models to choose from with lots ranging in size from 1.2 to 2.1 acres. a creek runs through the eastern corner of the property, lies for the most part in open space. A man made pond of approximately 4 acres will provide a scenic and serene environment. 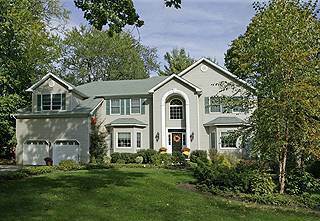 Located in the northwest corner of Robbinsville, the property is bordered by West Windsor to the north and East Windsor to the east. Bear Creek Estates is close to shopping, schools and houses of worship with easy access to the Princeton Junction train station, New Jersey transit bus station in Monmouth Junction and the New Jersey Turnpike. Energy efficiency has always been a key feature for Amleed Custom Homes having accomplished that by introducing Geothermal HVAC system. A geothermal system lowers the operation cost for heating and air-conditioning a home by 50-70%.